This is Part 2 of a two-part article. Before reading the specifics of how this horse is shod, please read Part 1, posted on May 8th. 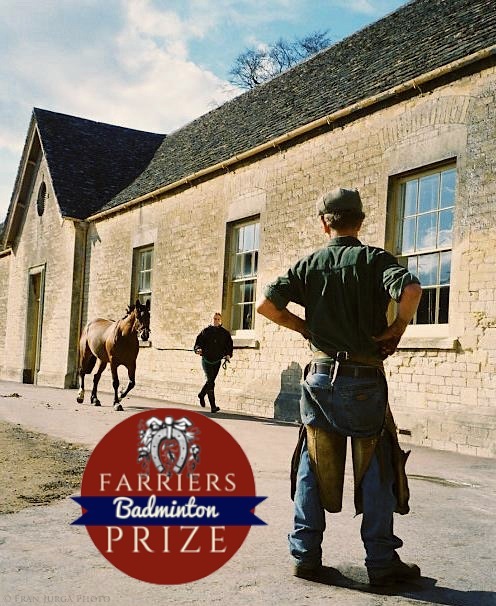 Hint: if you want to win the Farriers Prize at the four-star Mitsubishi Motors Badminton Horse Trials in England, consider having your partner shoe your horse. Or, alternately, if you're a farrier, consider helping your partner make it all the way around Badminton so your shoes have a chance of being judged the winners on the final day of the event. 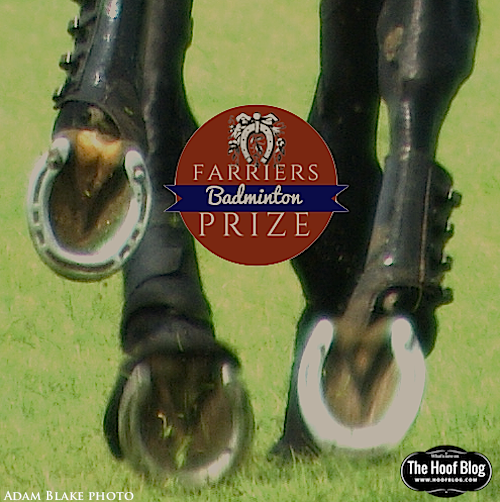 Fact: For the past three years, the Farriers Prize has been awarded to a horse shod by the rider's partner. Note: This article is protected by copyright; neither text nor photos may be reproduced without permission. It may be shared by using normal social media tools, such as you will find at the end of the article, or by pasting the URL (web address in browser window) into a status update on Facebook. Many thanks for sharing on social media. It's the first Saturday in May. 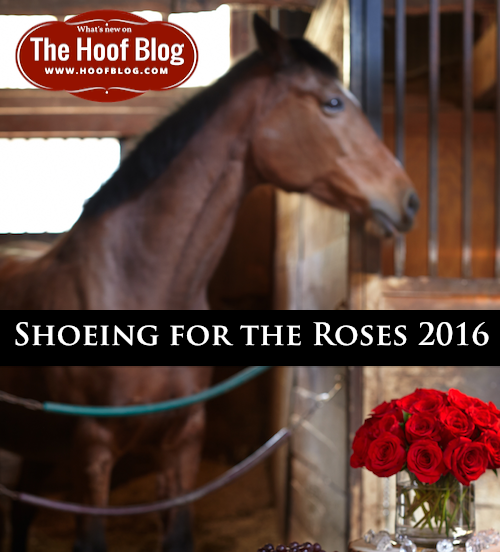 Theories abound about how to pick the winner of the Kentucky Derby, but there's no doubt that the feet come first in the hearts and minds of Hoof Blog readers. With the help of wonderful people in the racing industry, this article is a collection of as much as is known about the hooves of the fast and famous. British farrier Paul Conway preparing a shoe for Ben Hobday's large-footed event horse Mulrys Error before Badminton Horse Trials in 2015. On Friday, April 29th, George Eustice, a Member of (British) Parliament and Minister of State at the Department of Environment, Food, and Rural Affairs (DEFRA) visited Bridge Farm in his home district of Cornwall in southwest England. 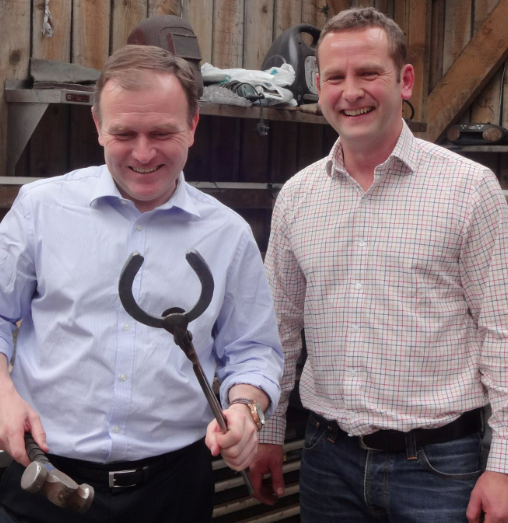 Mr. Eustice met with local Approved Training Farrier (ATF) Simon Moore, and his apprentice, Josh Ellery, along with a number of other local farriers and farrier industry representatives. His goal: to discuss some of the challenges facing the farriery industry.